When are Hepatitis B Shots Covered by Medicare? When you need treatment for mental health issues there are multiple different types of treatment you may need and places you may need it. Medicare benefits will usually pay for much of this treatment under your policy but you must be aware of what type of treatment you are getting and when. If you are being treated in a hospital this is one type of coverage, when you are being treated outside of a hospital this is Medicare Part B coverage. If the service you need takes place outside of a hospital it is referred to as “outpatient” treatment, which is what Medicare Part B is for. One type of treatment that is outpatient and covered under this Medicare coverage is psychotherapy provided by a medical professional. This type of therapy can be of the group variety or individual and just depends on what your doctor feels is necessary. It is always important to contact your preferred medical professional and see if they accept Medicare insurance before you go for your visit. You don’t want to be left to pick up the full cost of the medical bill because you didn’t do your homework. Medicare Part B can help cover your mental health needs, but only if you make sure your professional is covered first. Can I delay Part B without paying higher premiums? If you have Medicare benefits and are confused about Medicare Part D, you are not alone. There are a great many individuals who do not understand Medicare Part D, which is prescription drug coverage. Your copayment for Medicare Part B will be determined by your income level. Your payment is usually deducted from your Social Security income check. One of the more common needs for Medicare Part B is to cover medical equipment. This might include things like standard manual wheelchairs, electric wheelchairs, oxygen tanks, walkers, braces and eyeglasses. In order to qualify for these types of medical equipment, you will need to have a medically necessary reason (called medical necessity). In addition to medical equipment, your enrollment in Medicare Part B will laso allow you to undergo certain preventative procedures and screenings. This includes basics like annual physical exams and more specific procedures like mammograms and colon cancer screenings. 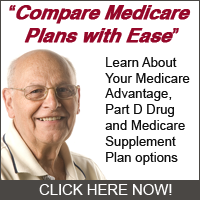 In the end, Medicare Part B is something you will definitely want to add to your Medicare enrollment plans. Although it will cost you money, it will be well worth the expense. If you don’t initially enroll in Medicare Part B, but decide to at aÂ later time in could cost you significantly.